﻿﻿﻿﻿﻿﻿“Kram” means indigo in Thai. This compound substance, with its unique rich blue color, was traditionally ...used to dye fabrics and coat Thai-style glasses and earthenware. 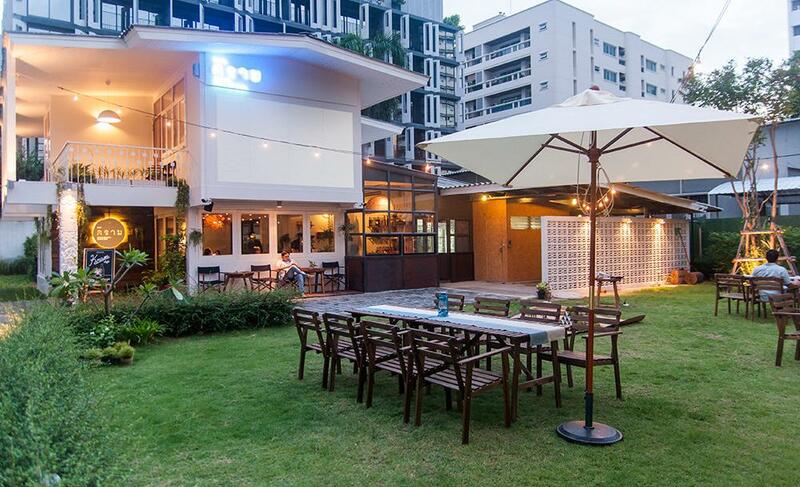 The concept behind KRAM restaurant is tied to the nature of indigo. We serve genuine Thai dishes that are slow-cooked with our carefully selected natural ingredients in a warm, cozy, and artistic Thai atmosphere. 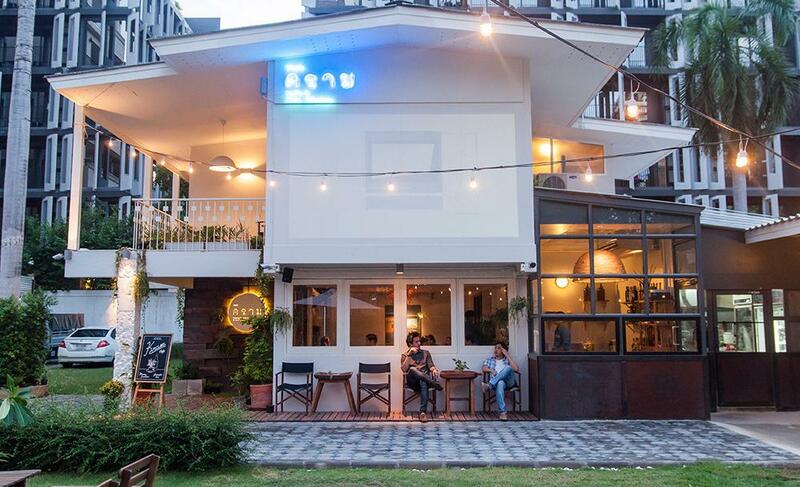 KRAM Café and Thai Kitchen is located in the heart of Bangkok, the city that never sleeps The restaurant was built into a 50-year-old house, previously owned by an aristocratic local family. The modern skyline that is the backdrop of our Sukhumvit 39 location offers a contemporary touch to our Thai heritage atmosphere. With its 250-square-meter grounds, KRAM offers a relaxing atmosphere with plenty of leisure space and green areas. KRAM would like to cordially invite you to make us your destination for hanging out or celebrating with friends and family. Our restaurant not only offers you a place to eat like traditional Thai people, but also to live Thai. We recommend that you try our special dishes, which customers from around the world have fallen in love with. Among our house specialties are gaeng kua pu bai chaploo (curry with crabmeat and wild betel leaf), khao soi gai (Northern-style noodles with chicken), krajiab pad moo sub (stir-fried okra with pork), gaeng gai normai jeen (chicken curry with bamboo shoots), and pla rak gluay pad prik khing (stir-fried freshwater fish with chili paste).